Bike Protector is a North East based business that specialises in products that help maintain the showroom quality of bikes finish. 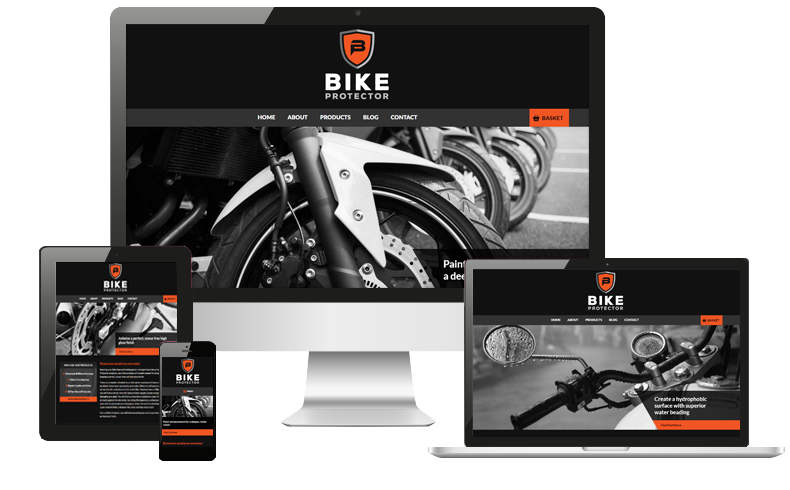 We were approached by Bike Protector when they were looking to set up their business, as they required a company that could manage all their print design, vehicle signage and digital design & web development. Our first task was to create the branding for the new company, which you can read about the process of in our blog post, Branding for the Bike Protector. Once the branding was completed we moved on to designing and developing an eCommerce website, due to the nature of the products we felt that the best platform to build this on was WordPress with PayPal integration. The site also includes a blog section which allows Bike Protector to promote special offers and trade events that they will be attending, and as social media is a big part of their marketing campaign anything that they post onto the blog automatically posts onto their social media platforms.